In Canada, the UK, and many other Commonwealth countries, Boxing Day, December 26, is a traditional and statutory holiday. Boxing Day dates back to feudal Britain. 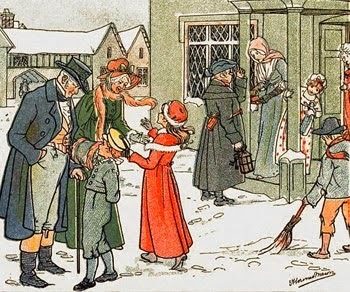 After slaving away all Christmas day, servants were allowed to box up the leftovers and take them home to their families. Benevolent families might take baskets of food to their tenants and gift their servants money and day off. With the Industrial Revolution, charitable groups distributed food and clothing to the destitute and working poor. The growth of the middle class put a different spin on the holiday. Where Christmas was for staying in with friends and family, Boxing Day was the opportunity go out and visit friends and family (important when you didn't have an estate to house all your relations). With the rise of consumerism, Boxing Day also became the time to return gifts and pay bills. Boxing Day traditions came to Canada with English immigrants. Why didn't take in the American colonies? It probably did in the south. The Puritan influenced north probably didn't approve. With the American Revolution, English traditions fell out of favor, including Christmas. In 1789, the first year under the American Constitution, Congress met on December 25. It wasn't until 1870 that Christmas was made a national holiday. Meanwhile, back in Canada, Christmas and Boxing Day have an unbroken tradition since 1641. Wiping the mist from the window, Sally O’Dell strained to see through the blizzard’s white wall. The barn, only a short distance from the front door, had disappeared in the barrage of snow. The footprints Pa had left only minutes before no longer showed. 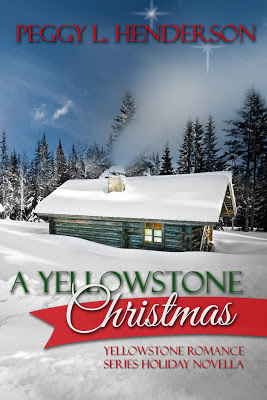 Though the house smelled of pine needles and cinnamon, she worried that Christmas’ most important guest, Santa, wouldn’t be able to find her in the storm. A chill seeped around the recently installed glass and peppered her arms with goosebumps. Now that I've given you a starting place, think what it must have been like, surviving inclimate weather in a house built by your father's hands and limited resources, having to give or receive handmade gifts, and not having a grocery handy for all the fixings needed for Christmas dinner. Most pioneers lacked money for frivolities, and the nearest 'mercantile' might be a several day's ride away from the homestead. While pennies today don't seem like much, they were most important back then. Fresh game killed by Pa usually topped the holiday fare, with pies, homemade bread and canned vegetables supplied by Momma. A favorite of the children was Plum Pudding although it originated in jolly old England. I've never had it, but I understand making it takes some time, talent and special ingredients. Any toys received were almost always hand-carved or built by Pa, while knitted scarves, mittens, hats and stockings Momma contributed were not only necessary but welcomed. Imagine getting a corn-husk doll. No walking, talking or diaper wetting babydolls to be had in the 1800s. Gifts children presented to their parents were limited only by supplies and their own imaginations. I picture a family gathered in their log cabin, around a roaring fire, enjoying the story telling of Christ's birth as read from the family Bible by Pa. Of course, Michael Landon is Pa and he's married to Caroline Ingalls, and Mary, Laura and Baby Grace are nearby. Okay...so I watched too much Little House on the Prairie, but if I can impact someone's life the way that series has mine, then I'm happy to trudge along in the path set by Laura Ingalls Wilder and her amazing stories. I wish for each of you the happiness of a prairie Christmas. 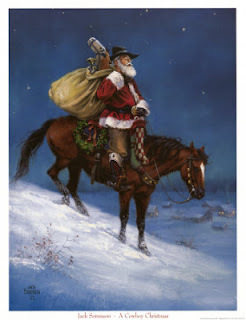 How do you picture your Christmas set in the old west? Howdy, friends. How are your plans for Christmas coming along? Do you plan to host a passle of people? At Charles Goodnight’s JA Ranch in the Texas Panhandle, Christmas dinner was huge. The Goodnights entertained all their neighbors with a holiday party. An evergreen from Palo Duro Canyon was decorated with frosted raisins and strings of popcorn and cranberries. Dinner consisted of beef, turkey, antelope, cakes, pies, and other assorted dishes. Each guest received a gift and guests danced until daybreak. At our house, we’re planning a much more modest celebration. Our two daughters will join us to share tamales and other TexMex foods on Christmas Eve. That gives us time to hear my husband read the Christmas story from the Book of Luke before we open our gifts. On Christmas Day, we’ve sometimes had ham or lasagna for dinner. This year, we’ll share a pot roast about one o’clock. By the time we've emptied our stockings on Christmas morning and nibbled on the candy that's always part of their bounty, no one is very hungry. Yes, even though we're all adults, we each have a stocking, We're big on some traditions. Seeing the food prepared for dinner and the Christmas china bedecking the table always whets our appetites. My hero and I haven't made candy yet, but we’ll probably cook fudge on Tuesday. My mom was well known for her luscious pies at family dinners. 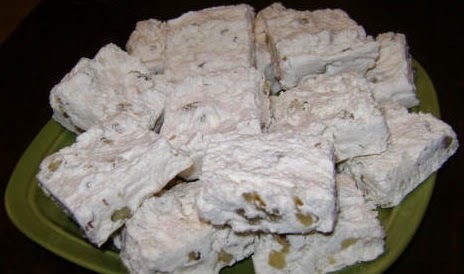 At Christmas, though, she always made batch after batch of fudge and divinity. 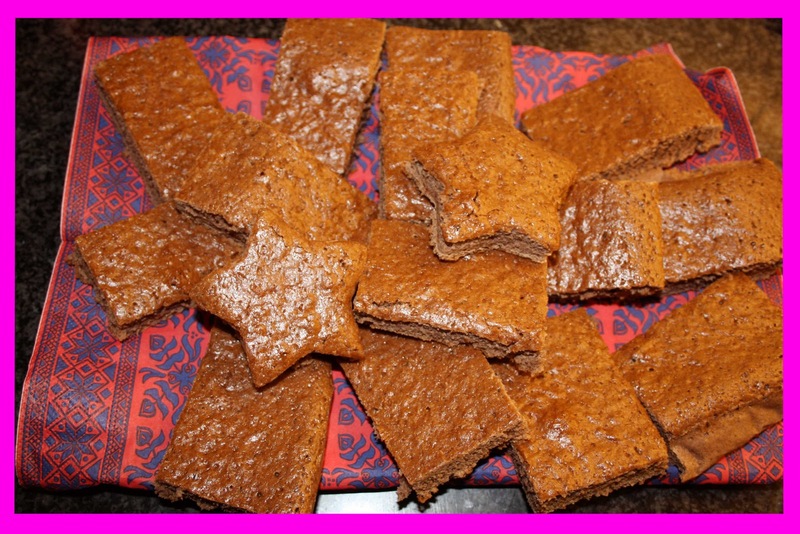 I thought for this special time, I’d share her divinity recipe with you. Beat egg whites until stiff and set aside. Cook sugar, Karo, water, salt, and cream of tartar until it forms a hard ball in cold water. Pour over beaten egg whites, stirring as you pour. Add vanilla and nuts. Beat until it starts to harden. Pour into a lightly buttered 8” x 8” casserole to harden. Mom usually made one batch colored with food coloring. As a child, I thought the pink divinity tasted better than the plain white candy. While our Northern Hemisphere friends are shivering their way through the festive season with snow, hot food and egg nog, we in the Southern Hemisphere are enjoying hot sunny days, beaches, picnics and seafood smorgasbords. 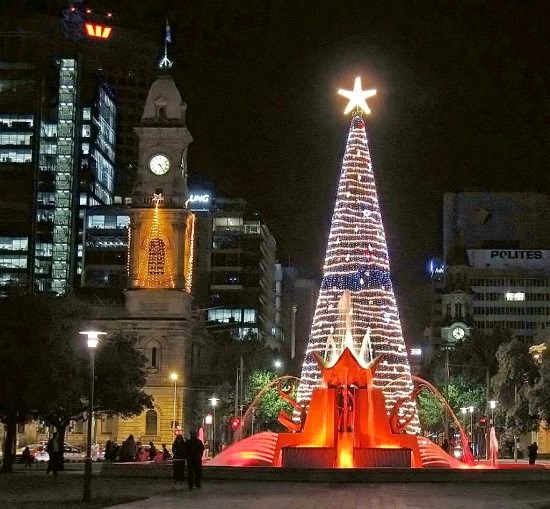 The heat of early summer in Australia has an impact on the way that Australians celebrate Christmas and on which northern hemisphere Christmas traditions are followed. In the weeks leading up to Christmas, houses are decorated, greeting cards sent out; carols sung; Christmas trees installed in homes, schools and public places; and children delight in anticipating a visit from Santa Claus. On Christmas Day family and friends gather to exchange gifts and enjoy special Christmas food. Many Australians spend Christmas out of doors, going to the beach for the day, or heading to camping grounds for a longer break over the Christmas holiday period. 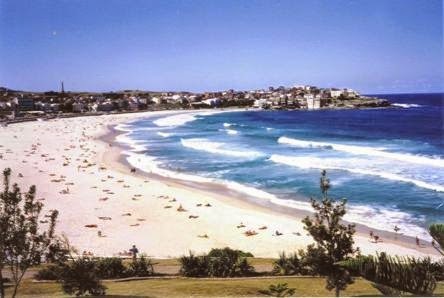 It has become traditional for international visitors who are in Sydney at Christmas time to go to Bondi Beach where up to 40,000 people visit on Christmas Day. The tradition of an Australian Christmas Eve carol service lit by candles was started in 1937 by radio announcer Norman Banks. This outdoor service has now been held in Melbourne every year since then. Carols by Candlelight events today range from huge gatherings, which are televised live throughout the country, to smaller local community and church events. Sydney's Carols in the Domain has become a popular platform for the stars of stage and music.The tradition of an Australian Christmas Eve carol service lit by candles was started in 1937 by radio announcer Norman Banks. This outdoor service has now been held in Melbourne every year since then. Some uniquely Australian Christmas carols have become popular and are included alongside the more traditional carols sung at carol services and at Christmas church services: John Wheeler's The Three Drovers is perhaps the best known of these. Many light-hearted Australian Christmas songs have become an essential part of the Australian Christmas experience. These include Colin Buchanan's Aussie Jingle Bells and the Australian Twelve Days of Christmas. There are many native Australian plants in flower over the Christmas season. 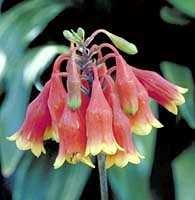 A number of these have become known as 'Christmas plants' in various parts of the country, including Christmas bells, Christmas bush and the Christmas orchid. When Europeans first arrived in Australia they were delighted that they could pick wildflowers resembling bells and bright green foliage covered in red or white flowers to use as Christmas decorations. This was a huge contrast to the bare trees and dormant gardens they had left behind in Europe.There are many native Australian plants in flower over the Christmas season. 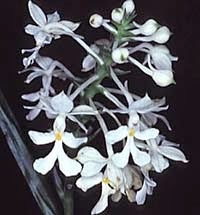 A number of these have become known as 'Christmas plants' in various parts of the country, including Christmas bells, Christmas bush and the Christmas orchid. Christmas in Australia comes at the beginning of summer and many people no longer serve a traditional hot roast dinner. Cold turkey and ham, seafood and salads are often served instead. It has even become acceptable to serve the traditional Christmas plum pudding with cold custard, ice cream or cream. 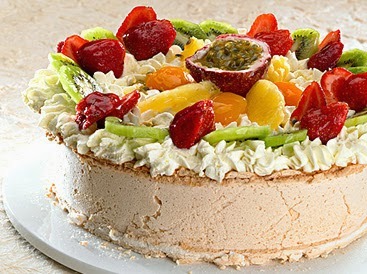 Pavlova, a meringue base topped with whipped cream and fresh fruit, and various versions of the festive ice-cream pudding have also become popular Christmas desserts. Wherever you are in the world, I wish you all a very Merry Christmas and a Safe, Prosperous and Happy New Year. Our Christmas tree has been up since around the first of December, but traditionally, trees weren’t brought in and set up until Christmas Eve. Normally the tree would remain in the house (most often on top of a small table) until January 5th. Some considered it bad luck to have a tree up before the 23rd. Setting up and decorating the Christmas tree was a major event and the celebration often included a feast and guests. Carols would have been sung as the candles were lit to illuminate the tree. 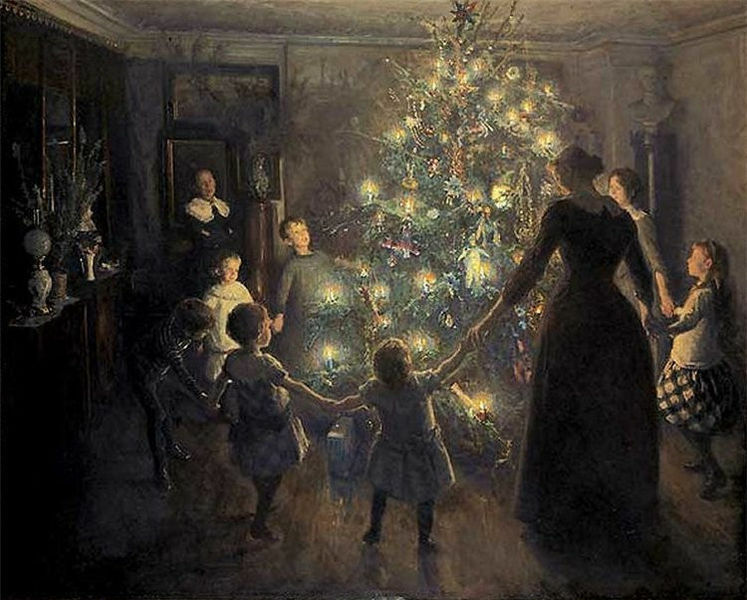 In 1882 Edward Johnson, an associate of Thomas Edison created the first string of Christmas tree lights. He was the Vice President of the Edison Electric Light Company and ordered a hand-wired string of 80 red, white, and blue light-bulbs the size of walnuts. He proudly displayed these lights on the tree in his New York City home on Christmas Eve and the story was carried by papers as far away as Detroit. Since many people were still wary of electricity, not believing it was safe, nor would it last long, the idea didn’t immediately take off. Thirteen years later, in 1895 President Grover Cleveland had the first electric lighted Christmas tree at the White House and in 1901 this advertisement appeared in an issue of McClure’s Magazine. By 1903, the idea was becoming more popular and General Electric applied for a patent for Christmas lighting. The patent was denied declaring the idea was based on knowledge “any ordinary wireman” had and therefore not patentable. The idea then took off, and several companies took advantage of a new market, manufacturing and selling Christmas decorations. From our house to yours, we wish you a very Merry Christmas! Winter months in Owyhee County in Idaho Territory brought plenty of inclement weather and the citizens couldn’t do much in the way of prospecting or farming. Nevertheless, they kept themselves busy, and the Christmas season brought plenty of opportunity, which The Owyhee Avalanche took great delight in reporting. The following articles all came from December issues. SOCIAL BALL. We had the pleasure of attending a Social Ball given at the Mechanics hall on Tuesday evening last. A general invitation was extended and a large number were present, who appeared to enjoy themselves hugely. There was good music, and the new Hall is certainly a splendid place in which to “twist your heel around.” One of the best features of the arrangement was the magnificent supper prepared and eaten at the Idaho Hotel, the proprietors of which can’t be excelled in their line of business. We return thanks for complimentary tickets. I think it would be rather painful to “twist your heel around,” but it is a colorful term for dancing. Besides the larger events, plenty of spirit found its way to smaller venues, such as the Avalanche office. Thanks to Messrs. Chase & Brooker of the Owyhee Exchange for a liberal supply of champagne. “Fenian dew drop,” and a box of fragrant Havana’s. The boys use everybody first rate—give them a call. Another article on the same day shows that the people of the Old West had a variety of interests besides finding the next big strike, drinking, and gambling. FOSSIL RESEARCH. There is an extensive and interesting field for geological research on and in the vicinity of Sinker Creek, commencing at its junction with Snake River and extending several miles up the creek. Mr. J.C. Holgate of this place, who is quite a practical geologist has recently made of some interesting discoveries in that section, showing abundant evidence of its having been densely populated by animals that existed during the Cretaceous period of the Reptilian age. Among other things of interest that were shown us by Mr. H were a number of bones that from their size and appearance, unmistakably have belonged to the Microgigarous, long before a man’s appearance on the earth. It is thought the entire skeleton in which these bones belong can be exhumed. In the collection we observed the head of a reptile, well preserved and almost entire somewhat resembling that of an alligator of the present day. It had fearful looking teeth and its jaws were firmly set as it was sealed by some great and sudden convulsion of nature. Marine shells and petrified rocks also abound. Facts like these, if investigated by Agassiz would form valuable to science. As it is, they exhibit one among the many interesting features of Owyhee County. One thing about people—there have always been scammers. And so it went in Owyhee County, although they seemed to have good humor about it. A HOAX. As referred to in our last issue the great diamond excitement has proved as complete a hoax as was the South Sea Bubble. Owyhee, too, has her diamonds, which can be gathered by the quart on Sinker Creek. Perhaps we can dig up old Caleb Lyons diamond, and get up another first-class excitement. Nothing went to waste. People moved often and those who stayed or had just moved in were beneficiaries, either by gift or by sale. THERE WILL BE AN AUCTION TODAY, commencing at 11 o’clock A.M. at the house recently occupied by W.D. Walbridge, near the Owyhee mill. Carpets, stoves, and household furniture of every description will be sold to the highest bidder. A conveyance will be in readiness to accommodate ladies who desire to attend the auction. I’ve heard lots of talk lately about whether they had Christmas trees in the Old West. They did in Silver City. THE CHRISTMAS TREE. The Christmas Tree Festival will be held in Jones & Bonney’s Hall. We will stake in addition to what was said in our last issue, that the Brass Band, composed at present of Messrs. Charles Leonard, Joe Gross, Benj. Davis, Rufus King, Ferd. W. Frost and E. Douglas, will perform some of their best pieces, which will add greatly to the pleasure of the occasion. The singing, accompanied by the organ, will be done principally by young girls who have learned all the music they know in Silver City, and who by virtue of talent, industry and a good teaching have acquired, in our judgment, wonderful proficiency in the beautiful art over which the Muses preside. They are our little folks, and not imported singers, which will make it all the more interesting; that they will do their part in first-class style for their ages, we have not the least doubt, in fact, we know they will. The tree will be a prolific one no doubt. The Argosy of Santa Claus, St. Nicholas, & Co. arrived at the port of San Francisco four days ago, as we are informed per telegram, and a large cargo of its merchandise is on its way up here, and will not fail to arrive in time. In 1871, the livestock business was just taking hold. The oldest ranch had been in business only five years. New stock, especially blooded animals, whether horses, cattle, or hogs, always made the news. THOROUGH-BRED STOCK. We regard the man, who introduces an improved breed of horses, cattle, or hogs into our Territory, as a greater public benefactor than he who discovers a rich quartz mine. Messrs. Hoffer & Miller, well known, highly esteemed and enterprising citizens of this place, are taking steps in the right direction. Last summer they imported from Kentucky nine thorough-bred Durham bulls and two young Berkshire hogs—a bore and a sow. From some cause or the other one of the bulls died not long ago, but the remaining eight are doing finely. The hogs are beauties and can be seen at Sommercamp’s Brewery. Mr. Hopper started for Kentucky again last week after more stock, and will bring back with him in the spring several thorough-bred Durham heifers, some genuine White Chester hogs, and also a number of Durham bulls for Mr. W.F. Sommercamp, who intends to engage quite extensively in the business of stock raising... It costs no more to raise good stock than inferior, and it is vastly more profitable to the owners after getting rightly started in the business. Although they will have expanded a large amount of money, before they can hope for an return, yet they are certain to reap the substantial benefits that their energy and enterprise so well deserve. The editor of The Owyhee Avalanche reported something about the suffragist movement in nearly every issue. It appears as though he’s amused by the whole idea of women voting, and I doubt he thought such a thing would ever come about. COLONEL SUSAN B. ANTHONY and fourteen other strong-minded females have been arrested in New York for voting. Col. Susan has long been anxious to have her action at law against the State for depriving her of the elective franchise; now has her lawsuit, but the State is a plaintiff. This is pilling on the outrage. Susan went to one of the registrars in the city of Rochester and demanded registration; like a man of gallant and chivalrous disposition, he said “Yea, yea,” and now the lady must fight the word “male” in the State Constitution. Susan’s constitution is by far the strongest. I’ve seen this next item on the internet several times, although never in a contemporaneous newspaper. But here it is, the language of handkerchiefs. Saratoga is in New York, so I’m not quite sure what this article had to do with the local citizens, especially when there weren’t enough ladies to go around as it was. Drying a cross the lips—Desirous of acquaintance. Handing it to mother—Mother objects. Putting it in the pocket—Meet me at the spring. Letting it rest on the right cheek—Yes. Letting it rest on the left cheek—No. Drawing it across the eyes—I am sorry. Taking by center—You are too willing. Drawing it across the cheek—I love you. Drawing through the hands—I hate you. You can just imagine the poor editor scrambling for anything he could find to fill the pages during the slow months. Here’s the very definition of a slow news day—he reported a man’s dream. Not kidding. Here it is. ED. SMITH’S DREAM. A comical genius, of War Eagle Mountain, named Ed. Smith, relates that he dreamed of dying the other night and going to heaven, or at least to the gate of the celestial city whose streets are said to be paved with gold. Knocking at the portal, Smith was confronted by St. Peter who told him he must cut 15 cords of dry tamarack wood, or take a ticket for “the other place.” He took the ax, and after performing the task imposed, returned to the gate, where he was somewhat surprised to meet his old friend Ike Culp, of the Oro Fino saloon. St. Peter directed Ike to take the ax and cut 14 1/2 cords of dry tamarack as a preliminary to the right-of-way through the gate. Ike didn’t seem very well pleased with the idea and went off grumbling. In a short time he returned, threw down the ax, and told St. Peter he would take a through ticket for Pandemonium rather than cut the d.m.d wood. Ike’s boisterous manner and loud talk awoke Smith and thus ended the dream. All those who wonder whether or not they cussed have it right there. I’m sure we all know what d.m.d means. CHANGED HANDS. Wells, Fargo, & Co. have sold out their stage line between Virginia and Reno to Hill Beachey. That was the last of W.F. & Co.’s stage lines. Our old friend Fred Hibb is again driving stage from Silver City to the Sheep Ranch. Crowley & Glynn have leased Maj. Brookey’s Restaurant, and will dish things up in tip-top shape. Their advertisement will appear next week. There are some tattling busybodies in Silver City, who would do well to mind their own business instead of continuing meddling with that of others. Andy Baker has taken the place of Charles Haybes in the management of the stage line from Boise City to Winnemucca. He is a clever, genial gentleman, and has the reputation of being a good stage man. J.F. Dye, of MTN City, whose settlement of the Pacific Coast antedates old ‘49-ers 20 years, passed through Elko on Thursday last for San Francisco where he will spend a few weeks with his children, after which he contemplates a visit to Texas with a view of driving a band of cattle to Nevada. Mr. Dye is an old pioneer on this coast, and although aged 65 years, still has the vim and the enterprise of one in the prime of life. We are informed that a gay deck of hardies will all arrive here this week. Joe Short has just received an extensive stock of liquors, &c, from San Francisco. Another an effort has been made to get a Governor for Idaho, the President having nominated a carpet bagger named A.H. Connors. Yesterday we noticed a large quantity of goods being brought into town. We understand that our townsman G.W. Grayson, Esq., has gone into merchandising and will do business in the building formerly occupied by Creed & Bro. Every time that Thos. Ewing & Co. make a big sale of goods they consider the printers and send us a bottle or two of something nice to take. They have made it rather lively for us during the last two weeks. December 18, 1860: Texas Ranger Sul Ross found Cynthia Ann Parker during the Battle of Pease River, in Foard County. She’d been captured in 1839 and married Peta Nocona. December 3, 1864: Gold was discovered near Confederate Gulch in Montana Territory. December 3, 1866: Nelson Story and his cowboys drive his herd of a thousand cattle into Gallatin Valley in Montana Territory. This was the first cattle drive from Texas to Montana, a distance of 2,500 miles. December 9, 1867: Denver becomes the capital of Colorado, taking the honor from Golden. December 11, 1869: About 65 vigilantes lynched the Reno brothers, who’d been jailed for the country’s first train robbery (Ohio and Mississippi Railway, Indiana) in 1866. December 10, 1871: Lots go on sale for the first time in Phoenix, Arizona. December 8, 1874: Lt. Lewis Warrington III attacked a Comanche camp in the Mushaqua Valley, Texas, while on a scouting mission during the Red River War. He was awarded the Medal of Honor. December 4, 1876: Jack McCall’s second trial for the murder of Wild Bill Hickock begins in Yankton, Dakota Territory. He was convicted on December 6. December 10, 1878: Henry Wells, of Wells, Fargo, & Co., died. December 15, 1890: Lakota police officers shot and killed Sitting Bull, saying he resisted arrest. December 24, 1894: Harvey Logan (Wild Bunch) shot and killed deputy sheriff Pike Landusky at a party in Jew Jake’s Saloon. Christmas is always a special time, both in my own life and in the lives of the characters I create. 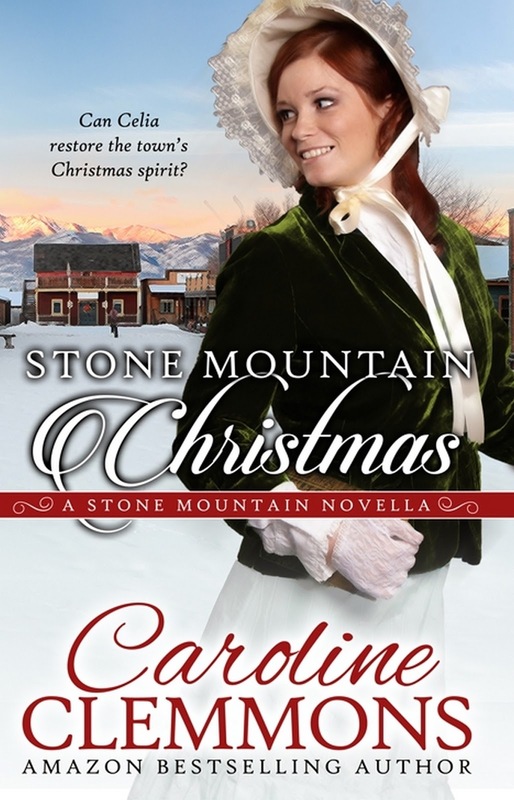 The holiday season plays a role in my newest western historical romance, due out from Secret Cravings Publishing in January, so it was important for me to do a little research to learn how Christmas was celebrated in the past. I found that by the mid-1800s, Christmas traditions in America were very similar to those we know today. 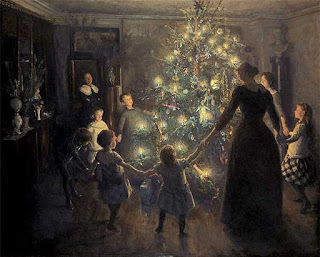 They included brightly-decorated trees, the exchange of cards and gifts, caroling, lots of festive foods, visits from Santa Claus, stockings hung by the fireplace, and many religious celebrations. Of course, farther west, in rural areas and sparsely-populated villages, celebrations were sometimes quite humble. Laura Ingalls Wilder wrote of receiving precious gifts: a tin cup, a shiny new penny, a heart-shaped cake, and a peppermint candy. In the west, many gifts were homemade, and wintry weather often interfered with holiday plans, but despite the hardships of life on the prairie on in rough, unsettled territories, the spirit of Christmas lived on. Several years ago, my family and I visited the National Frontier Trails Museum in Independence, Missouri for their annual Christmas celebration. In addition to visiting with and hearing stories from Laura Ingalls Wilder (through the talents of a gifted re-enactor) , we toured the old railroad depot. This brought back a wealth of memories for me. Many of you know I lived with my grandfather while growing up. He was a railroad telegrapher, and touring this depot was like stepping back into my childhood. 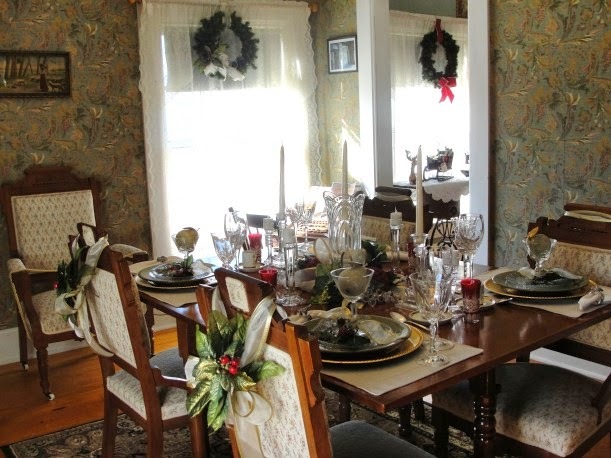 Upstairs, where the agent and his family lived, the table was set for a festive Christmas meal. In the old west, tables probably weren't this ornately set, but I cherish this image. To me, it somehow exemplifies the beauty of the holiday season and the importance of home and family. I had this vision in mind as I wrote about Emily Sue Phillips on Christmas Eve. As a little gift to readers, I'm now sharing two short Christmas excerpts from the story, He Loves Me, He Loves Me Not. I hope you enjoy them. In this excerpt, Emily Sue reflects upon Christmas, childhood, home and family. 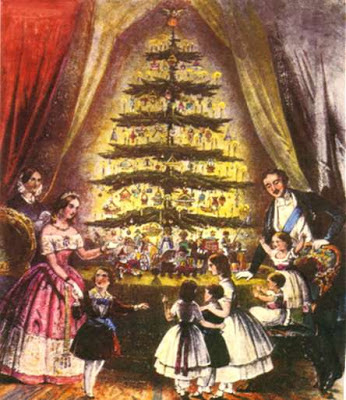 Each year on Christmas Eve, the Phillips family gathered in the parlor at sunset for a festive celebration. Emily loved Christmas. 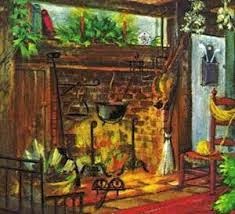 When she’d been a child, the holiday always meant gaily-wrapped presents beneath the tree, Mama’s holiday cakes and pies, sweet cinnamon candies and peppermints, and fresh oranges tucked inside stockings hung on the fireplace mantel. Once upon a time, she’d actually believed in Santa Claus. In fact, she’d believed in the jolly, bewhiskered fellow for a good many years. She wished now she could go back to those childhood days, those simpler times when she could make wishes and, as often as not, they came true. Of course, she knew now that it was Pa, not Father Christmas, St. Nicholas, or any other legendary figure who brought the gifts she cherished. Earlier that morning, Kat's husband had cut down a lovely spruce tree and brought it to the house. Emily and Mama had worked together for most of the afternoon, adding ornaments, bows, tinsel, and tapers, but then Mama had been called away. The Sherwood family was about to get a brand new baby for Christmas. Soon after she left, a heavy snow began to fall. Mama would not be able to make it home until the weather cleared. Alone now, Emily lit the candles one by one, reflecting on how many things had changed over the years. Kat now celebrated Christmas Eve in her own home with her husband and children. Mama did very little holiday cooking and baking these days since she was usually too busy attending to her midwifery or caring for Pa. His days were numbered; he wouldn't be with them forever. Each year when Christmas came around, Emily wondered if this might be their last together. The thought brought a tear to her eye. For all his faults -- and her father had many -- she loved him dearly. With the candles glowing brightly, she stepped back to gaze upon the magnificent sight. The sweet scent of pine filled the air, mingling with the aroma of hot spiced cider and frothy cocoa. For a moment, her spirits lifted. Christmas possessed a special magic. In this excerpt, Emily Sue receives a visit from Benjamin, the young man she loves. They've been through some difficult times in their relationship in recent weeks.He has brought a gift wrapped in butcher's paper and tied with a coarse jute string. "Why are you here? Why are you doing this?" "It's Christmas. I'm giving you a gift. That's what Christmas is all about." "Not really, but I won't quibble over theology. My point," she said, her voice growing cooler with each word, "is that you've made it clear you don't want anything to do with me. Of course, then you do an about-face and tell me how much I mean to you, but in the next breath, you're sending me away again. You've got me so confused, I don't know what to think." "I'm sorry. I know I've put you through a lot over the last few weeks." "And this is supposed to make up for it?" She took the gift he held out. Its szie and shape alone, plus its weight in her hand, clearly made known its contents. She turned toward the tall spruce with its glittering tapers and shimmering tinsel and slipped the crudely-wrapped present beneath the fragrant pine branches. Next to the other gifts, Ben's contribution looked woefully out of place. "You're not going to open it?" "I can't. It's not Christmas yet," she explained. "My father won't allow us to open even a single gift until Christmas morning." "Are you sure you can't make an exception?" A crestfallen expression showed on his face. "I hoped to be here when you unwrapped it. I wanted to know if you liked it." "I'm sure I will," she said in quiet voice. She would cherish anything Ben gave her. But her reply did not appease him. He huffed out a short breath. "How can you say that? You don't even know what it is." Emily rolled her eyes. "It's a book, Ben. It's not like it's any great mystery." Lifting the present again, she hefted it up. "I appreciate it, all right?" For the life of her she couldn't understand why she was acting like such a spoiled brat. Too many emotions were vying for control. “I swear, you’re impossible.” Ben nodded toward the tree as she placed the present beneath it once more. “Fine,” he said. “There’s your gift. Yes, it’s a book. A book of poetry, to be precise. It’s nothing terribly fancy. I got it from old Asa Taylor at the mercantile. I hope you enjoy it.” He turned and walked away. “Merry Christmas,” he added in a gruff voice. Although Christmas may not be so merry for Emily Sue Phillips and Benjamin Brooks, I sincerely hope your holiday is filled with warm wishes, true love, and the joy of family and friends. It is a special time of year. Enjoy! For more information, visit Chistina Cole's Love Notes on Facebook. 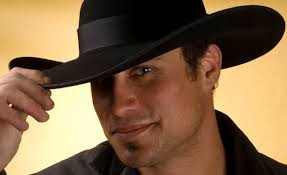 Hello, I’m new to the Cowboy Kisses Blog. What an amazing group of authors and I’m honored to be one of them. For those of you who don’t know me, I’m Kathleen Ball. I write western romance. I have nine published books and they are contemporary western romance but I’ve decided to write what I love to read, historical western romance. I love all the research involved and I often wonder if I could have made it in the conditions the early settlers endured. I’m an indoor plumbing type of gal. Recently, with the cold weather, I’ve been extra grateful for indoor plumbing. The rich history of the Texas Rangers, the Native Americans, the pioneers, wagon trains, mail order brides and cattle drives intrigue me. However, my latest interest is the peddlers of the old west. The peddlers were the Amazon of their time. They had just about everything a person could want and they came right to your door. They didn’t need advertising companies to sell their wares. They sold what people needed. Everything from sewing needles to butter churns and they often had goods ranging from pots and pans to hardware and spices. 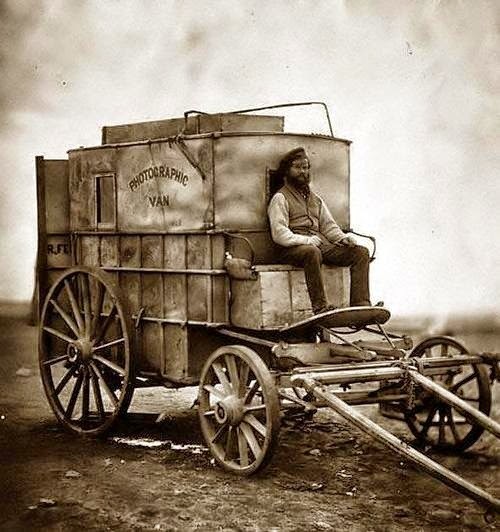 A traveling peddler brought news of the outside world to small, isolated towns and settlements. When he drove his team toward a homestead he was welcome company. In a way, the peddler reminds me of Santa Claus. Samantha wrapped her scarf around her head. No matter how many times she wrapped it the weight of the hardened ice dragged it down off her head. The naysayers were right, winter came early—very early and with a vengeance. She stared at the pure, white, snow dotted with Ponderosa pines. Their branches bowed from the snowy burden. She’d doubted her survival the minute they banned her from the wagon train but as she walked away, she grew determined to survive. What a difference a few weeks made. As soon as the storm hit two days ago her doubts returned. She took a step and stumbled. The hem of her dress, caked with icy snow made it hard going. With each step, her feet punched through the snow and sunk. Her hands stung from the biting cold. Soon she wouldn’t feel them anymore. She was well versed on the signs of frostbite. Pushing herself upright she struggled on, one exhausting step at a time. The wind howled and she wanted to cry at its sad song. She’d been on her own for two long weeks now. How she hated the pious women, she’d traveled with. The death of her parents left her alone and a woman alone was not allowed. The married women believed she’d entice their husbands. The same women whose children she nursed when they were sick. The hypocrisy ate at her soul. It was either marry Old Thomas or leave. She refused to marry, calling their bluff. Unfortunately, it wasn’t a bluff. They threw her a sack of food and a canteen of water and left her behind. Again she fell, face first into the snow. Struggling to rise she shook her head. Maybe it’d be easier to just lay there and fall into a forever sleep. Her food was long ago eaten and her strength had held out surprisingly long, but now she wasn’t sure it was worth the effort. A horse nickered and she pushed herself up. Her heart skipped a beat in fright. On the horse sat a huge man covered in animal furs. His rifle lay across his lap. “Get up,” He said, his voice full of anger. Samantha pushed and struggled until she stood. This was it, she just hoped her death would be painless. Putting her frigid hands on her hips, she brazenly studied him. His slate blue eyes were full of compassion. He held out his hand. She grasped it and was hauled up in front of him. He didn’t say anything else as he urged his steed forward. It was slow going in the snow but the horse seemed to know its way. Leaning back against his wide chest her eyes closed.